A lovely bright flower hand tied arrangement ready to slot into your vase. Pinks, Whites and Greens. Simple and beautiful. A flower delivery perfect for any occasion. 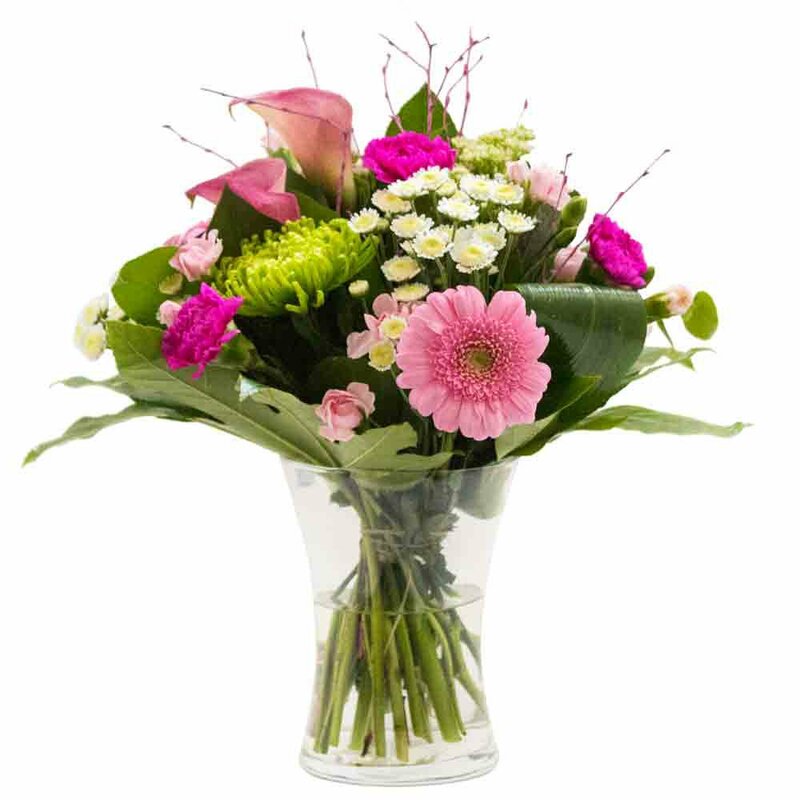 The flower gift will be hand delivered by the local florist along with your special card message.